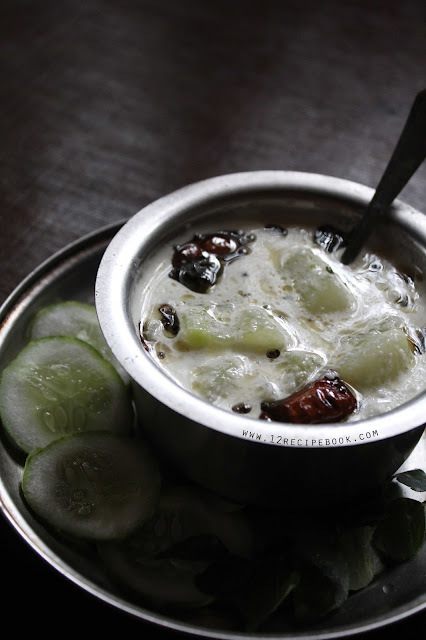 Cucumber(vellarikka) kichadi is an another seasoned raitha served on the occasion of Onam. You can use salad cucumber or 'Kani Vellari' for making this. Try this quick and easy recipe at home and serve with steamed rice. Peel the skin of cucumber and discard its inner seeds; chop them in to small cubes. Cook it by adding 1/2 cup of water and enough salt. Cook for about 10 minutes or until transparent and dries out all the water content. Meanwhile in a blender add grated coconut, green chilly, cumin seeds and little water; make a smooth paste out of it. Mix this coconut paste with cooked cucumber; also add beaten curd; mix well (no need to cook more). Now do the seasoning on top. 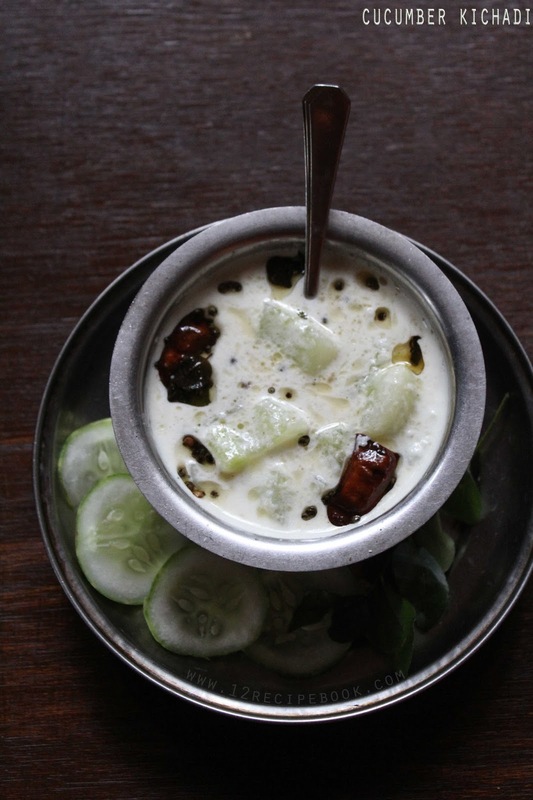 Heat coocnut oil in a kadai; splutter mustard seeds; add dry red chilly and curry leaves; mix well and pour this over cucumber raitha. Mix the curry before serving.